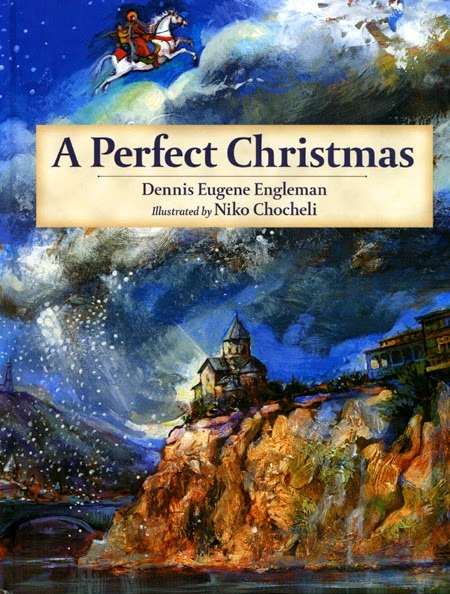 Tonight we began reading A Perfect Christmas. It is a longer one, so we will likely spent the next couple of nights reading portions of it. I love the illustrations by Niko Chocheli, made even more meaningful by our experience meeting him. He is truly a kid at heart (he spent one evening with my son playing soccer with ping pong balls until close to midnight! ), and I find his drawings to have an intensity and beauty that match the stories he illustrates.